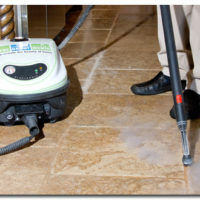 By cleaning your tile and grout, you are keeping dirt and mold from accumulating under and in the tile. When a professional company does suggest tile replacement, it is most likely because of the lack of routine care. Cleaning will ensure that your tile will last longer and your grout will prevent cracks as well as reduce the risk of mold and dirt buildup.